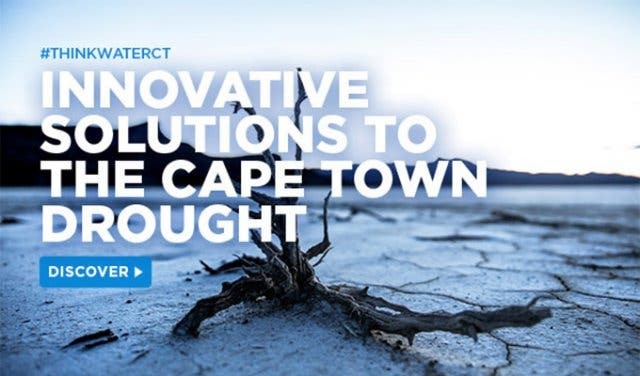 Here’s is what ordinary Capetonians have been doing – at universities and schools, in their homes and neighbourhoods – to come up with new ways to save water. We hope that you keep innovating despite Day Zero being pushed beyond 2019 and dam levels rising. Read about water in Cape Town today. Cape Town is coming out of a freak three years of drought and residents have been coming up with ínteresting and innovative ways to avoid Day Zero, when our dam levels are so low that water will have to be rationed and to create a more water-conscious city. Here is what ordinary Capetonians are doing – at universities and schools, in their homes and neighbourhoods – to push back Day Zero. 1. A group of UCT students have developed a way to make collecting water from a shower easier, says ENCA. Their in-shower water saving device has four interlocking flat containers that form a platform that sits at the bottom of the shower. The device collects 40 litres of water and the creators want to have it on the market by February of 2018. 2. IOL reports that three Stellenbosch University masters students in chemistry figured out how to eliminate water waste from their lab’s various systems. Before they created the Closed Cold Water Recycling System, their lab would waste perfectly potable municipal water when it cooled down the machines and washed all the equipment. 3. CapeTalk reports that 100 Cape Town schools are set to save thousands of litres of water, thanks to Dropula. The new device, designed by Professor Thinus Booysen of Stellenbosch University, combines a metre and an electronic dashboard to monitor water usage. The smart-meter attaches to a municipal metre to alert the dashboard of increased usage. The dashboard can identify where and why there was a spike, and the school administration can investigate and decrease the usage accordingly. 4. Garden ResQ Grey Water Systems, a Fish Hoek-based company, have designed a simple system to quell your domestic water wastage. This simple garden greywater system connects to your showers and sinks, collects the greywater and distributes it in your garden. Get yourself one at Gardenresq.co.za. 5. Due to the water crisis, a public Facebook group called Water Shedding Western Cape has cropped up and we found some pretty amazing ideas. One user designed a series of interlocking pipes as a water storage device for people who don’t have the yard space for a water storage tank. It uses plastic piping, and for every 10 metres of pipe, it can store up to 78 litres of water. Some fellow enthusiasts have suggested painting the rig black and having it in the sun, meaning the water would warm up. Hook it up to a rainwater collector and you’ve got yourself a handy storage device. 6. Mistifi. Available in Cape Town, Mistifi is a mist nozzle that can fit onto most taps. The product is incredibly easy to install and doesn't require a plumber. The device dispenses 800ml of water per minute (compared to the average tap that dispenses 9L of water per minute! ), which is roughly nine times less. The nozzle sells for R95 each. Helpful tip: If you want to calculate how much water you’re using, here’s a handy daily water usage calculator from the City of Cape Town. BONUS INNOVATION: Try these 2-minute shower songs created by a collection of South African musicians to time your perfect shower length. 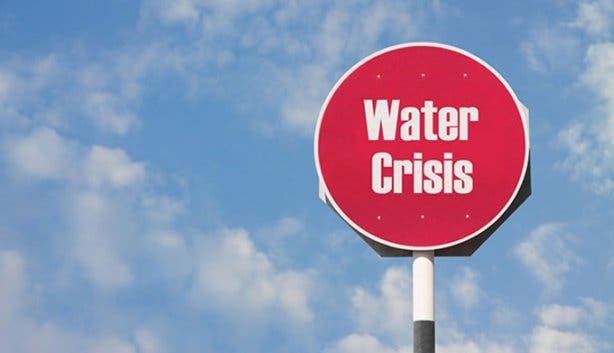 If you’re still unsure about what Level 5 water restrictions means, here’s our guide on everything you need to know about the water crisis. Now that you know, read our helpful water saving tips. If you’re an avid gardener you’ll already know that watering with municipal drinking water is not allowed, here are some helpful ideas to keep your gardening flourishing. Also keep up to date with the latest in loadshedding in Cape Town.